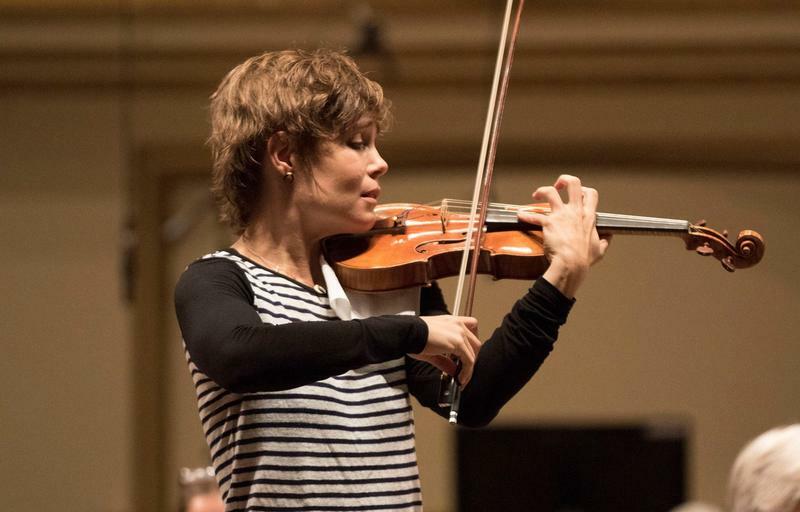 Violinist Leila Josefowicz plays with the St. Louis Symphony Orchestra earlier this fall. Listen to St. Louis Symphony Publications Manager Eddie Silva’s conversation with Leila Josefowicz about “Sheherazade.2” recorded Feb. 15, 2016 for the intermission of St. Louis Public Radio’s live broadcast on Feb. 20, 2016. 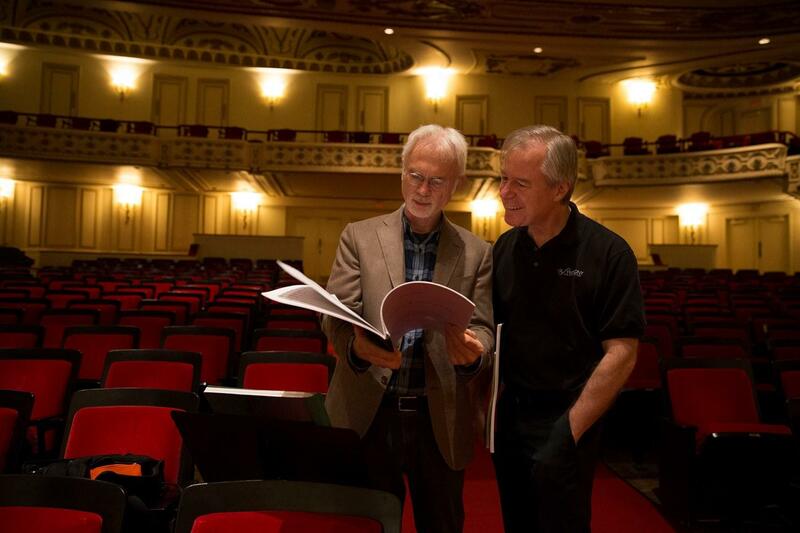 Composer John Adams talks with Symphony music director David Robertson at Powell Hall. The SLSO is not directly nominated for this award. The Symphony has been nominated at least 57 times and has won seven Grammys, most recently in 2015. The full list of Best Classical Instrumental Solo nominations has another tie to the Symphony. Violinist Gil Shaham is the brother of Robertson’s wife Orli Shaham. 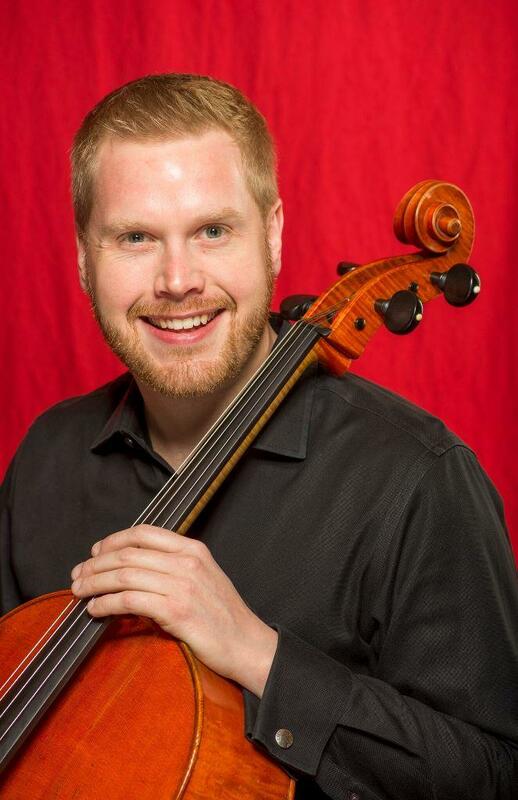 He is among the nominees for his performance on “1930's Violin Concertos, Vol. 2." The 59th Annual Grammy Awards will be held Sunday, Feb. 12, 2017. Watch composer John Adams and violinist Leila Josefowicz discuss Scheherazade.2 and see part of a performance with the New York Philharmonic. 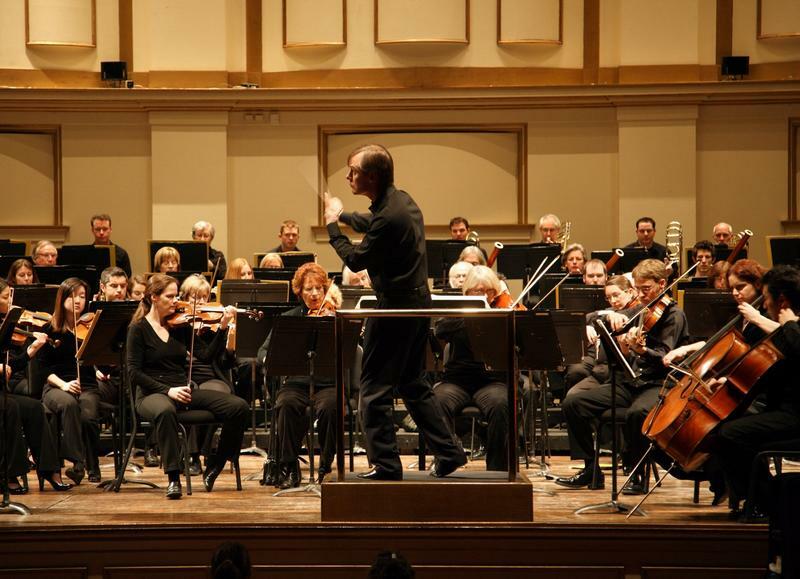 The St. Louis Symphony was onstage Sunday afternoon when their Grammy win for Best Orchestral Performance was announced. Adam Crane, vice president for external affairs, and Erika Ebsworth-Goold, the symphony's publicist, told the performers about the win backstage. “This is the equivalent to a World Series win for the orchestra," she said. The St. Louis Symphony ended 2016 with the healthiest bottom line in many years. The good news includes the first balanced cash operating budget this century for the institution, which has a budget of $28.1 million, up from $26.6 million last year. The symphony saw growth in philanthropic support, and increased attendance and ticket sales. In a news release, St. Louis Symphony President and CEO, Marie-Hélène Bernard praised the symphony's board and the generosity of the St. Louis area. She cited innovative experiences as factors in the orchestra’s achievements. Thus, it is fitting that The Matrix and the St. Louis Symphony share that same enigmatic quality, as well the Powell Hall stage, this weekend. Because both defy explanation and both promise a better experience when encountered together. This article first appeared in the St. Louis Beacon: Some people are natural mountain climbers who are always challenging themselves. Always looking upward. They relish scaling the highest heights, and as they challenge themselves they inspire and confound others at the same time. Those they baffle find themselves shaken by the struggle to understand, to meet the standard of the master climber. Those they enthuse, they stir deeply. It is those rare enthusiasts who become masters themselves. 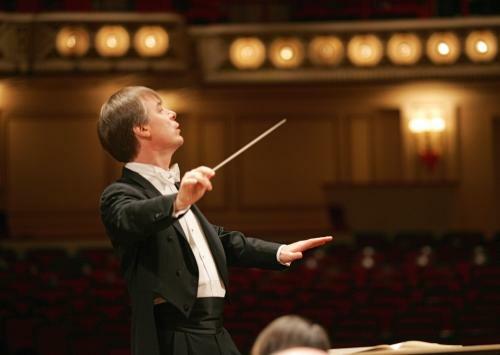 The St. Louis Symphony is nominated for two Grammy awards this year. 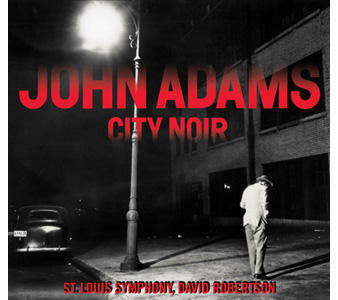 The National Academy of Recording Arts and Sciences members nominated the symphony in the categories of Best Orchestral performance and Best Engineered Album, Classical. Vice President of External Relations Adam Crane almost couldn’t stop smiling when he discussed hearing the news. “It’s what everyone strives for when you record an album, you want a Grammy award,” said Crane.